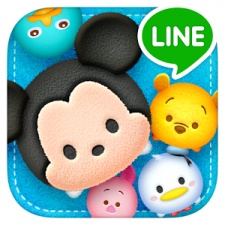 Line’s mobile puzzle game Disney Tsum Tsum has racked up more than $1 billion in lifetime revenues. The game achieved the milestone on April 11th 2017 and surpassed 70 million downloads worldwide on April 29th. It comes 10 months after the title hit 60 million downloads in June 2016. According to Line, the title has been played 165.4 billion times since it was launched in Japan in 2013 and later worldwide in July 2014. Nearly 2.5 billion Tsum Tsums have been bought in the game through Happiness Boxes and Premium Boxes. Disney Tsum Tsum joins an exclusive club of games that are believed to have crossed the $1 billion landmark. Such games are said to include Monster Strike, Puzzle & Dragons, Clash Royale and Pokemon GO. Combined game and merchandise sales for Tsum Tsums are said to have reached a combined $2 billion. Despite the mobile game's success, Disney swapped Line for Mixi to develop its latest title, Marvel Tsum Tsum. That game was said to have generated six million downloads in nine months after its release.